What Is the Scope of the Idea? It is never okay to say that I want a mobile app; you should know what you want exactly. For the start, you need to answer few questions like why do you want to develop an app? Why now, at this point? How will the app help its users? How will this new app meet your organizational goals? How should users feel when they use your app for the first time? Like Uber gives the travel feel, Yelp provides the hunger feel; what feeling should define your app? Tough questions but when answered correctly, it will clear all your doubts. Answering these questions will help you to decide the features to be added to your mobile app. The scope of these features will help you to figure out the scope of your idea. Also, ask the agency to how to deal with “scope change.” This mostly happens when the project takes longer than the given time to complete due to sudden changes and new challenges. Scope change occurs a lot. Lack of scope will also burn a lot of your money as you may require extra time and cash to get your app ready due to frequent changes. Therefore, A well-prepared RFP let the agency to understand your requirement quickly and save both your time and money. 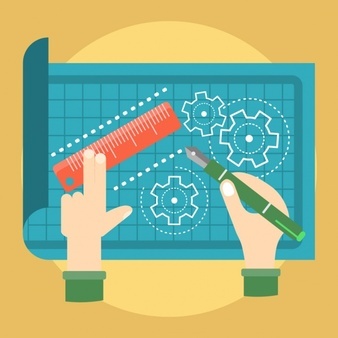 In most cases, users tend to focus on specific features rather than the entire app itself. Therefore, there are a lot of things to take into consideration rather than just an app idea. You need to know whether the project requires API’s to get connected with other services or tools? Is there any requirement of the back-end server development? Is analytics integration required? Are full UI/UX services needed or the design is to be done in-house? Considering all the above cases a more detailed RFP can be created. An RPF should also include a report asking for the maintenance and ongoing support of the mobile app. It’s very common that a mobile app is considered to be outdated in 6 months if ignored after the launch. There will be updates and maintenance according to the upcoming changes in the technology. Therefore, you will need upgrades and maintenance along the way, so you want to ensure the vendor you work with can provide the appropriate level of support. The scope of the idea, the app’s detailed features, and app maintenance is something you should highly consider while writing an RFP. Let’s further discuss what all things should be included in your next RFP. This section will include an overview of your organization, the business problem, the solution and the description of the proposed project. The information should be briefly depicted explaining nicely to the responders about the requirement. Here describing your problem in the best way possible is the key because there may be all kinds of solutions available that might fit your needs. Maybe better than what you have in mind. It’s crucial to describe your organization, what it does, the business problem and the proposed solution to the chosen target audience. Business: Explain the existence of the company, i.e., what problem is it solving? Solutions: Explain your marketing strategy and the solutions that are currently acceptable to the problem you have proposed. Team: Specify about the team that will be working with the agency closely. Tell about the person who will be leading the project. You need to provide as much detail about the project as you can. It then gets easier for the agency to understand the solution thoroughly. Functionality: Here minute details are significant. You need to specify desired operating systems and devices. When you have doubts on what to choose, you can ask your mobile development partner. They’ll help you to find the optimal choice. Define the key features and functionalities of the desired app. Provide wireframes if you can, at least the sample screens drawn on a piece of paper. This will illustrate the idea better. Finally be ready to hear the suggestions made by the responders. Services: What all services do you require? Consulting, Development, Design and User experience, Quality assurance and testing, maintenance of the existing app or all of them? Platforms and Devices: Define the platform on which the solution has to be built? iOS, Android, Blackberry, Windows, any other or all platforms? For what all devices the solution has to be developed? Backend: Do you own any existing systems such as CMS or web services? If yes, explain them. Does the existing system have any available APIs & documentation? Let the agency know if there is a need for them to develop web services or APIs? Additional details: The more information you provide about the project, the more precise the time and budget estimation will be. 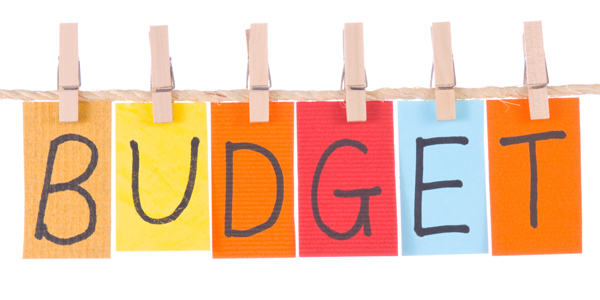 Although the budget is the most confidential matter, we would highly recommend you to be open regarding the budget. The budget range may vary significantly influenced by the complexity of the project and the expertise of the contractor. So, discuss the budget taking into consideration all the aspects. Convey a launch date of the project. Estimate and explain any outside dependency you have that may affect the release date of the project. Every bit of the project should have a deadline, discuss it. Question Answer session and the final decision has to be taken. The above steps will help you to create an impactful RFP which will make a lot of your work easier. TechAhead is one of the leading mobile app development company serving clients since 2008. If you are looking forward to sharing your RFP, you can talk directly to our team of experts here. The process of hiring the ideal mobile app development company can be troublesome. Let's take a look on how to create a killer RFP to simplify the task.